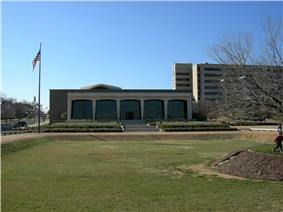 The Amon Carter Museum of American Art is located in Fort Worth, Texas. It was established by Amon G. Carter to house his collection of paintings and sculpture by Frederic Remington and Charles M. Russell. Carter’s will provided a museum in Fort Worth devoted to American art. 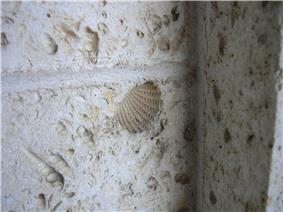 His daughter, Ruth Carter Stevenson, carried out his wishes and the museum opened to the public in January 1961. When the museum opened in the aforementioned year, its first director, Mitchell A. Wilder, sought a broader vision for its collection. Wilder believed that the grand story of American art could be interpreted as the history of many artists at different times working on “successive frontiers” in the great pageant of American history. As a result of this vision, the museum's collections began to expand in many categories, from the first landscape painters of the 1830s to modern artists of the twentieth century. Today, the collection includes masterworks by such artists as John Singer Sargent, Charles Demuth, Martin Johnson Heade and Alfred Stieglitz. The museum also possesses one of the premier collections of American photography in the nation, comprising more than 30,000 exhibition prints by some 400 photographers. The photography collection also includes the work and archives of several notable American photographers, including Laura Gilpin, Eliot Porter, and Karl Struss. The museum continues to collect American art and produce related programs, publications, and exhibitions. Philip Johnson, the museum’s original architect, designed and completed the building’s most recent expansion in 2001. 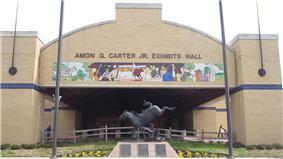 The Amon G. Carter, Jr., Exhibits Hall is near the Museum. ^ "Creator of Carter Museum of American Art dies". ^ Hevesi, Dennis (2013-01-11). "Ruth Carter Stevenson of the Amon Carter Museum Dies at 89". Amon Carter Museum entry in The Handbook of Texas Online.